Despite a rocky start in the first week of the season, the Bruins have had their last two weeks of play with an almost perfect record of 5-0-1. On the road, they have a perfect 5-0 record so far. On Saturday, the Bruins defeated the Tampa Bay Lightning 3-1 at Amalie Arena in Tampa, FL thanks to a surge of confidence in the third period. The Bruins went into the final period tied with Tampa 1-1, but Bruins right wing Brett Connolly broke the tie giving the Bruins a 2-1 lead. This lead continued through the rest of the game thanks to another goal from Bruins left wing Brad Marchand. Connolly has four recorded goals this season and Marchard has five, making them two of the highest scorers on the team so far. The Bruins will face the Dallas Stars on Tuesday at TD Garden in Boston on Tuesday, Nov. 3 at 7 p.m. and will travel to Washington, D.C. to face the Washington Capitals on Thursday, Nov. 5 at 7 p.m. The Patriots continued their perfect season on Thursday defeating the Miami Dolphins 36-7 at Gillette Stadium in Foxborough. The Patriots entered the game ranked first in the AFC East division and first in the AFC, while the Dolphins were ranked last in the AFC East. The Patriots ended the first half with a lead of 19-0, and there was little the Dolphins could do from there. 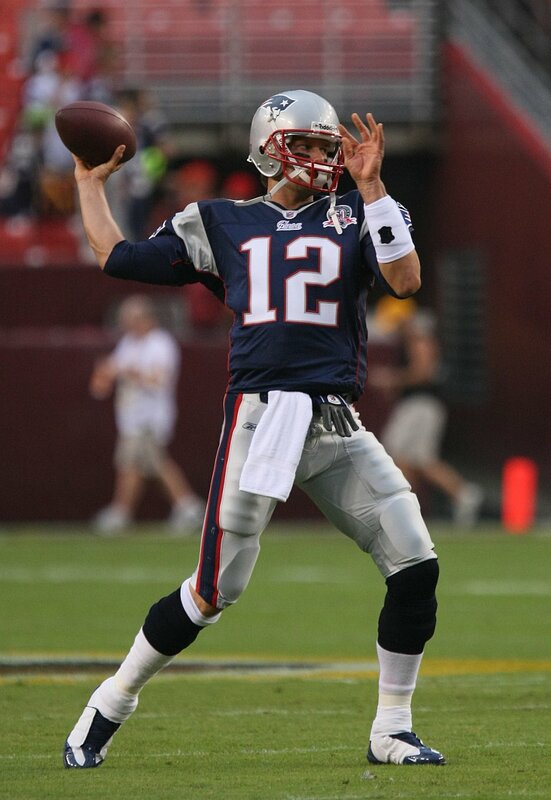 Though a game against the low-ranked Dolphins would not be thought of as one for the history books, Patriots quarterback Tom Brady recorded his 69th game with 300 passing yards, which ranks the third-highest of all time, as well as his 24th game with four touchdowns without any interceptions, again ranking him third of all time. Brady threw two touchdown passes to wide receiver Julian Edelman, one to tight end Rob Gronkowski and one to running back Dion Lewis. This game was also historic for Gronkowski because he had his sixth game with over 100 yards, which makes him ranked sixth of all time for tight ends. The Patriots will try to continue their perfect season on Sunday, Nov. 8 when they will play the Washington Redskins at Gillette Stadium at 1 p.m. Since losing star point guard Rajon Rondo to the Sacramento Kings last year, the Celtics have had a tumultuous start to their 2015-2016 season. Though they defeated the Philadelphia 76ers 112-95 on Wednesday, Oct. 28 in the first game of the regular season, they had lost the two preceding games last week to the Toronto Raptors and the San Antonio Spurs. The Celtics are currently ranked third in the Atlantic division of the Eastern Conference behind the Toronto Raptors and the New York Knicks. On Sunday against the Raptors, the Celtics trailed the entire game, and, despite a surge of momentum in the third quarter, the Celtics could not overtake the Raptors. Avery Bradley and Marcus Smart led the Celtics in scoring with 18 and 17 points, respectively. New acquisition Isaiah Thomas also had a solid game on Sunday, but could have changed the outcome of the game if he had made more than four of his 18 free throw opportunities. The Celtics lost 95-87, despite the strong efforts from Bradley, Smart, and Thomas. The Celtics will face the Indiana Pacers at Bankers Life Fieldhouse in Indianapolis on Wednesday, Nov. 4 at 7 p.m.